Why are so many retail brands closing | Rozdeba Brand & Co.
Is a retail evolution happening before our eyes? 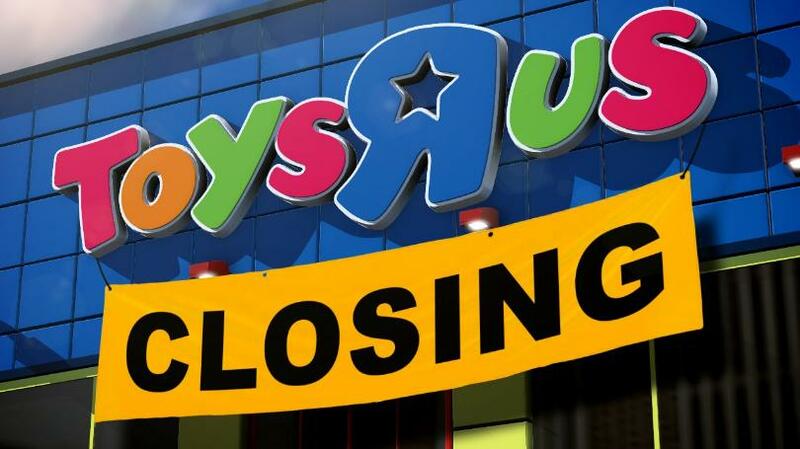 Commercial real estate firm Crushman & Wakefield estimates that more than 12,000 retail stores could close their doors in 2018. You can hardly go a week without reading a headline of a retail chain closing their doors or going into bankruptcy protection. The most prominent in recent memory was Toys “R” Us Inc. in the US. And while they’re still in business in Canada, they are hoping someone will buy them out. The retail business is notorious for its cutthroat, aggressive tactics in a dog-eat-dog world—Walmart and Target are great brand examples of driving the market into low profit margins and destroying local merchants. Meanwhile, brands like Amazon, Uber, and Airbnb have taken the traditional retail model and completely transformed it, dominating their competition by daring to think differently. This success, plus the fact that in-person transactions still account for a whopping 84.5 % of total retail sales, suggests the problem is much bigger than online shopping options. At the end of 2017 and after 65 years in business, Sears Canada closed the last of their 130 stores, putting 12,000 people out of work. In 1952, Simpson-Sears started as a national mail-order business, and for years the Sears catalogue was more popular than the phone book. Every small town had a catalogue depot—their presence was better than Amazon with representation in 900 communities. On a regular basis, they produced a 556 page catalogue that sold everything from Allstate Car Insurance, live baby chicks, saddles, and even radiation detectors, according to the Canadian Museum of History website. The harsh truth is that, after being the economic driver for the last 50 years, the Baby Boomer generation is taking a back seat. The Boomers (54 years and older) represent over 37% of the population but will not be a major target audience for retail brands unless you sell adult diapers (a $2 billion industry projected to grow 10% annually). There has been a great deal written about the perceived “touchy” Millennials (check out 5 Traits Brands Need To Know About Millennials), but the underlying message to retail brands is that Millennials are different than their parents. They are a demanding crowd who expect more than just the traditional customer service model—they want an experience they can Snapchat or Instagram to their friends. They want to feel good, be socially responsible and, if possible, they want a one-of-a-kind bargain. Simply put, they want the Gucci bag without the Gucci price. They want to feel in control of the entire process. They want to engage brands via digital channels and if that’s too hard, they’ll go somewhere else. This is where the Internet of Everything continues to grow. So what does all of this mean for retail brands? First, don’t rely on the Boomers to keep spending as they move to a fix income (called a pension). Generation X is doing fine, but isn’t a large enough group to replace the big spending Boomers (and they have too much debt). The Millennials will be the next big spenders when (if) they can secure stable employment. But how those Millennials will spend their money will be very different. The cold reality is the past isn’t the future. Sears lost touch with their customers. They had their eye on their fierce competition instead of on who was paying their bills. If they had continued to innovate, could they have been today’s Amazon? 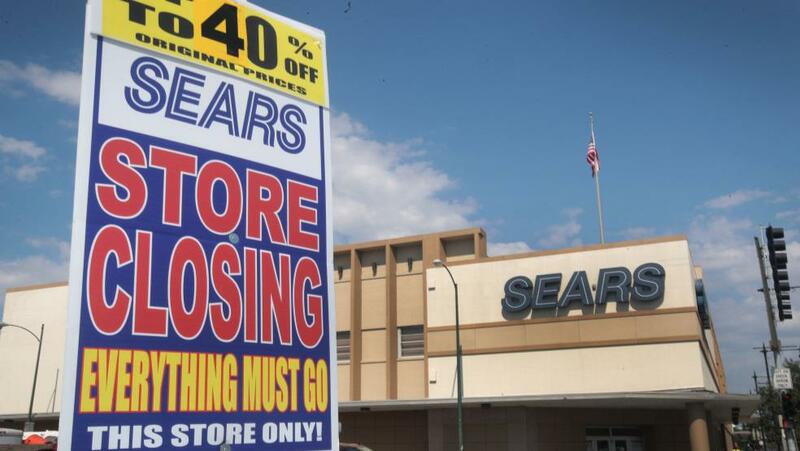 Retail consultant Richard Talbot said “It’s very sad, and it’s just amazing how they could fritter away their name, reputation and business model.” The watch is now on US Sears Holding and Kmart to see how long they will keep their doors open. Starbucks is the world’s best-known coffee retail brand. They built their empire on the insight that people wanted a small indulgence of a great cup of coffee in a wonderful atmosphere, and would pay a steep price for it. Past Starbucks International President Howard Behar explained that “We’re not in the coffee business serving people, we’re in the people business serving coffee.” This customer-centric model catapulted Starbucks’ success, so why didn’t it work for their tea offshoot, Teavana? 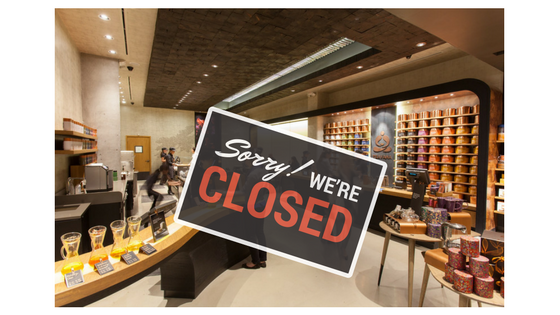 In the third quarter of 2017, Starbucks announced the closure of all 379 Teavana locations across North America. 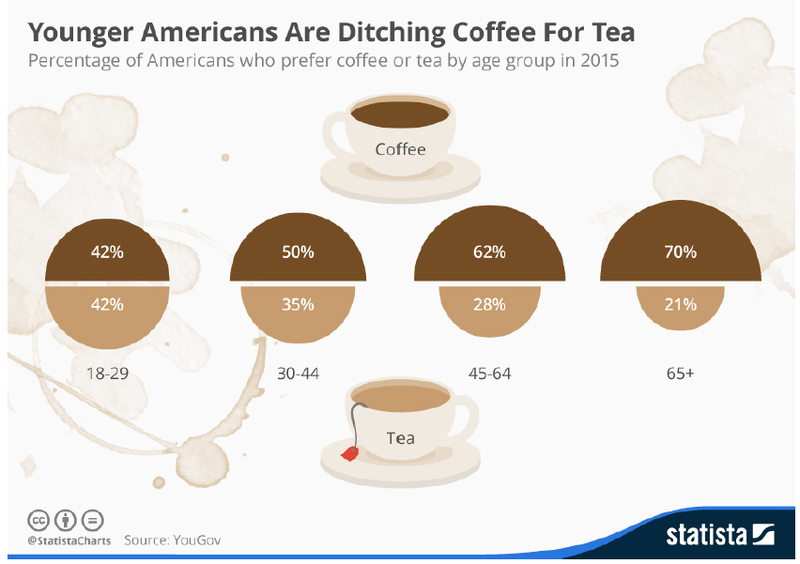 They couldn’t blame the demise of Teavana on Millennials, who are just as big a fan of tea as coffee. Instead, they attributed it to declining mall traffic. The big difference between a Starbucks restaurant and a Teavana outlet is that Starbucks is a place to sit down and enjoy your coffee experience, while Teavana was a walk in and walk out retail outlet. Teavana had no ambiance nor community. Charlie Cain, once a VP at Teavana, said “Teavana’s success was as a novelty gift shop in high-traffic, Class-A shopping malls.” Starbucks eventually understood this business model’s limitations, but it was too late. Teavana sold you tea leaves, not an experience, and this mistake was ultimately responsible for its failure. It’s not all bad news. While some retailers have seen the writing on the wall and given up, others have innovated their way to success. PetSmart, a big-box retailer of pet food and pet toys, saw shrinking margins and understood they had to diversify and create more value by adding the convenience of veterinary medicine, pet grooming, pet training, and pet boarding. All of these were complementary services that strengthened their brand and protected them from being obsolete—at least for now. The economics of retail aren’t for the faint of heart. Real estate and operational costs, including higher minimum wages, continue to increase pressure on retail margins. Pop ups, fast fashion and off-price chains create an impossibly competitive landscape. “A pair of men’s dress pants cost less today than they did a decade ago,” explains Manny Chirico, CEO of PVH Corp. (parent company of Calvin Klein & Tommy Hilfiger). E-commerce has also added another pressure point, making it easier for consumers to comparison shop. “The internet has acted as the great price equalizer,” said Joel Bines, managing director of AlixPartners retail consultants. When a brand is not applying retail economics well, they tend to focus on the bottom line and forget about the customer. But every time a customer goes to the store and gets frustrated, they go somewhere else instead. Target’s launch in Canada was a great example of this frustration—after many years of Canadians shopping at US Target stores, there was a huge and pent up demand for the same experience in Canada. Instead poor prices, lack of merchandise, and void of service quickly drove them out of the Canadian market. It’s no surprise that off-price retail stores like T.J. Maxx, Winners, and Marshalls are booming. T.J. Maxx and Marshalls’ annual sales exceed those of Nordstrom Inc. and J.C. Penney Co. combined. Today T.J. Maxx and Marshalls have over 3,800 locations, with the hope of another 250 stores within a year. 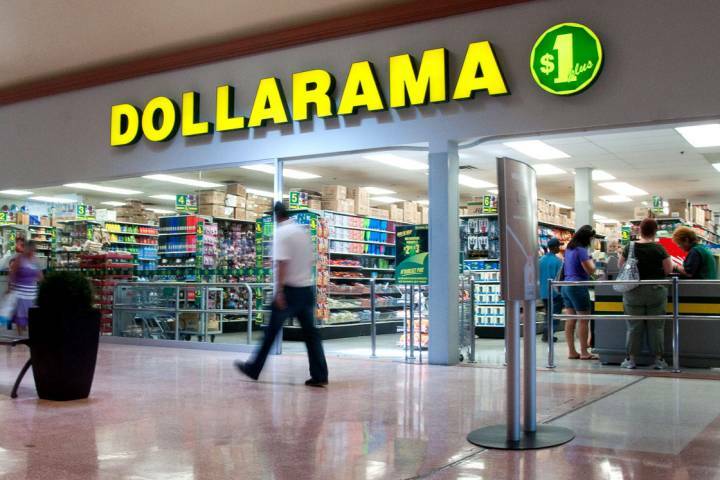 Discount retailer Dollarama who has over 1,100 stores across Canada has been one of the most successful retail chains who has motivate customers to increase their spend from one dollar to over four dollars per visit in less than ten years. This equates to almost $3 billion in sales in 2017. It’s interesting that these retail brands aren’t relying on a digital strategy or big data to figure out what their shoppers want—they know its affordable pricing for quality merchandise. Who’s Minding the Store? Or Is It a Layaway Gone Bad? Moody’s Investors Service analyst Charlie O’Shea says that US retailers have been under duress for years with the rise of new retail brands and online shopping. Those brands with heavy debt—much of it from leveraged buyouts similar to Toys “R” Us—have been able to push off a reckoning because of a decade of low interest rates and central bank stimulus keeping the credit markets loose and free. Now that interest rates are rising and the credit market is tightening, many retail chains are on their creditors’ radar. J. Crew Group Inc., Claire’s Stores Inc., Nine West Holdings Inc., and Bon-Ton, to name a few. According to Moody’s Investors Service, the amount of debt coming due for 19 distressed retailers is set to more than double over the next two years. So this painful trend of failed retail business will continue. The retail industry thrives on stable and growing economies where consumers know where their next paycheque is coming from. In the last couple of years, nothing can be taken for granted. Terrorism, Brexit, uncertain trade deals, wild stock market swings, mass immigration, political shifts in the US and UK, anti-establishment sentiments, and growing “nation-first” attitudes all add up to a pervasive sense of uncertainty that has a negative effect on the retail industry. 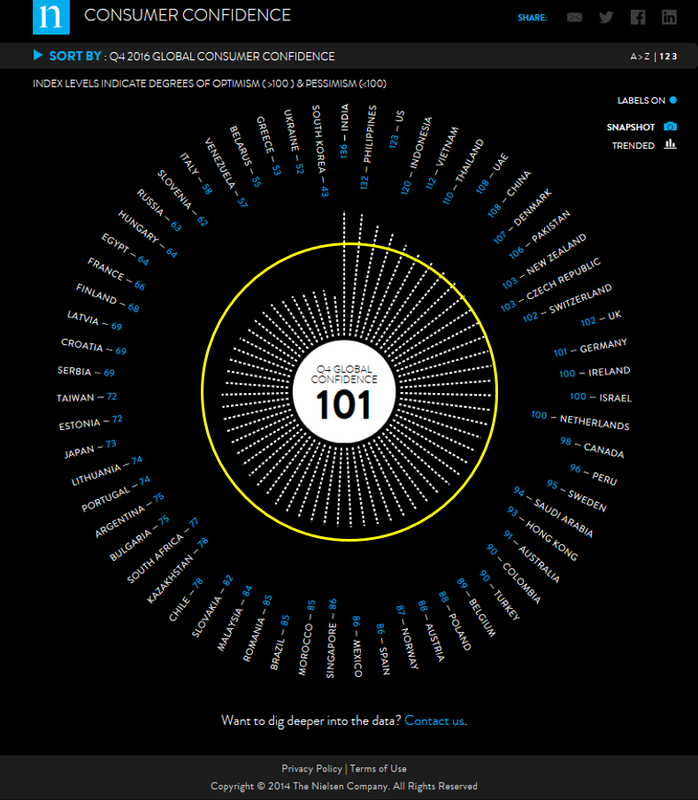 Nielsen Company tracks consumer confidence of the top 123 countries quarterly. At the end of 2016, there were only 15 countries that indicated an “optimistic” view on the economy and their situation. Interesting that the US is in third place for optimistic consumers and Canada is just a hair under in the pessimism camp –Trump tweets aren’t helping. There is no question that Amazon has changed the book industry forever, and now has set its sights on all things retail. Many brick and mortar retailers are scrambling to build their digital presence in spaces like e-commerce and social engagement. It’s curious that while Walmart wants to become more like Amazon, the reverse can also be seen. Willy Kruh says retailers must become more connected to customers at all potential touch points. This includes “unifying data and analytics to create a holistic view of the customer; going ‘beyond the sale’ to improve the customer experience; upgrading systems to be more agile and better able to integrate commerce and mobile technologies; improving the supply chain; improving ties with brands; and expanding partnerships, especially with fulfilment centres.” And don’t forget—do this at the lowest price possible. The foreseeable future doesn’t bode well for some retailers. Robert Schulz, analyst at S&P Global Rating, predicts that “[retail] defaults in 2018 could match or exceed last year’s record report level.” As retailers move away from trends, fads, and colours and move towards algorithms, clouds, and robotics, new retail models will come and go—and so will the brands. While it seems to be a perfect storm, there are many brick and mortar retail stores doing just fine. E-commerce isn’t the answer to all the challenges, because e-commerce will not replace the desire for human interaction. We are social animals who like to explore and try new things. We are physical, and need to use our senses to get excited to attach ourselves to material things. Because of this, it is estimated that e-commerce will take 25 years to reach 50 percent of retail sales. “This is not the end of retailing as we know it,” says Joel Bines. “People are not going to stop going to stores.” But the experience will continue to evolve and become more interactive with every experience being capture on social media. No question, brands must have a digital strategy to better service their customers, but it shouldn’t be the brand’s ultimate goal. The goal should be to build a relationship on the customer’s terms, one customer at a time.